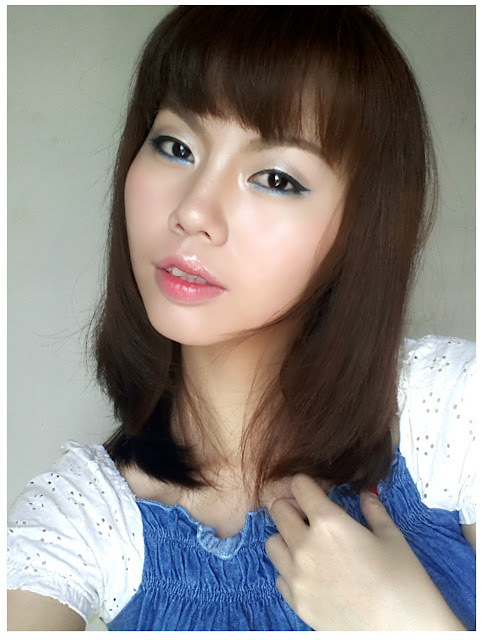 Got myself the invitation to Samsung ATIV Smart PC Launch (all thanks to Don) and there I am, going all blue and white that day, even for my make-up. 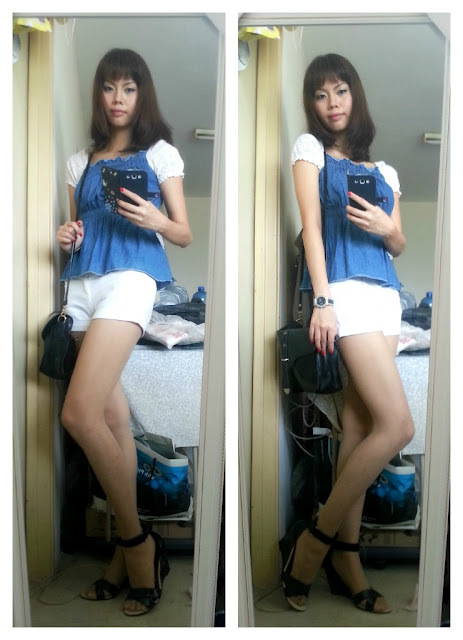 Jeans peplum blouse and white shorts, getting ready to the launch! The launch held at Bridge Bar, G Tower, but due to some disarrangements, I reach the venue after they've started the launch, so... 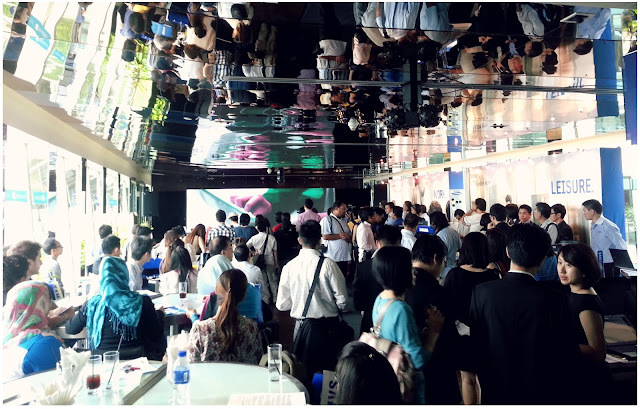 I missed quite few big shots who already gave their speech and product presentation. Yikes!!! Barely can see anything that's going on on-stage from the back. 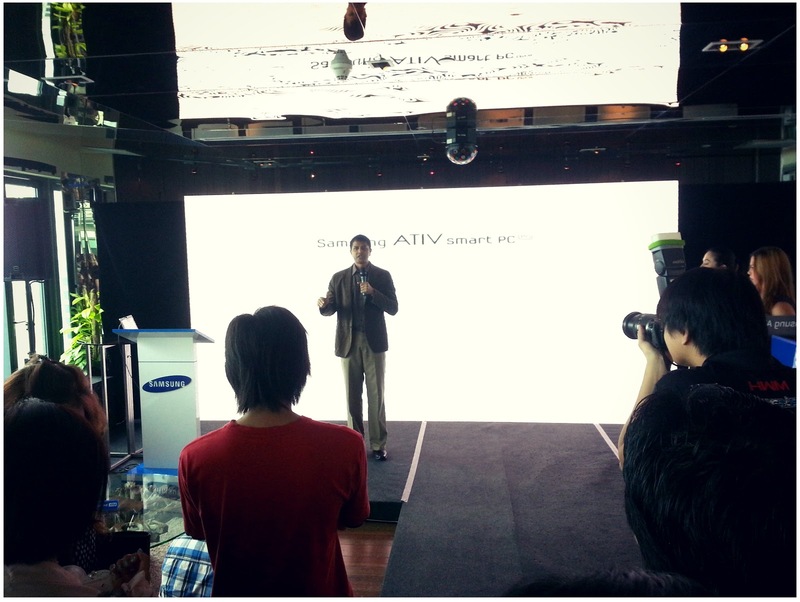 Samsung ATIV Smart PC series is the next big thing right after the launch of Windows 8. 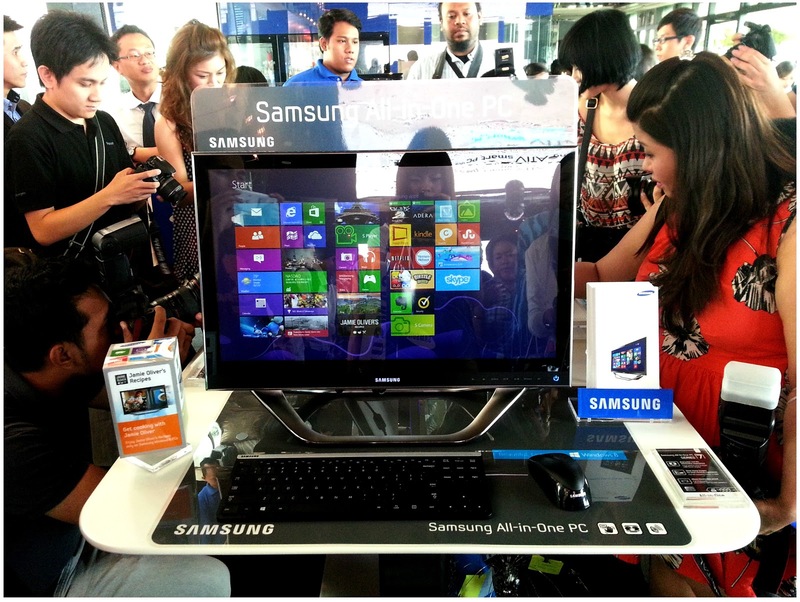 Equipped with the latest Windows 8 operating system(OS), ATIV Smart PC series totally changed the relationship between personal computer(PC) and their users. This successful partnership between Samsung and Microsoft has enhanced the computing experience of a pc user. By consistently study and try to understand consumer needs which evolves from time to time, Samsung ATIV Smart PC truly knows what people wants when it comes to design and technology. 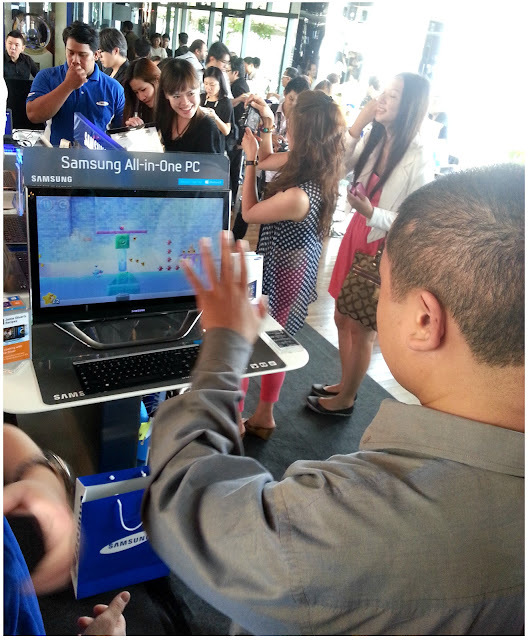 Pre-installed with Windows 8 OS, Notebook users are going to discover new features from Samsung Series 5 ULTRA Touch. With its 10-finger multi-touch screen, users now can enjoy a full touch controlling on a clamshell notebook PC. Its latest hardware upgrades delivers great processing performance so that users can enjoy fast computing performance. With a 3rd generation Intel Core i5 processor, 8GB memory, 500GB storage and 24GB ExpressCache system, Samsung Series 5 ULTRA Touch will bring a higher level of efficiency and productivity to its user. When I first saw this, I was like: Who needs a pc so big, but after trying it, I am totally WOWed by its features. With Windows 8 operating system as well, the feeling of operating a pc screen this big with your 10 fingers is so good that you wish you own one at home. This pc is packed with 3rd generation Intel Core i5 processor, 8GB RAM and AMD Radeon HD 7690M Graphics Processor and 750GB HDD so multitasking seamlessly isn't a dream no more. Now you can play Angry Birds and other games with the motion of your hand. You can also control your PC from a distance as well. Perfect for home entertainment isn't? Are you a work person? Or leisure person? Samsung ATIV Smart PC Pro provides you the best of both world. 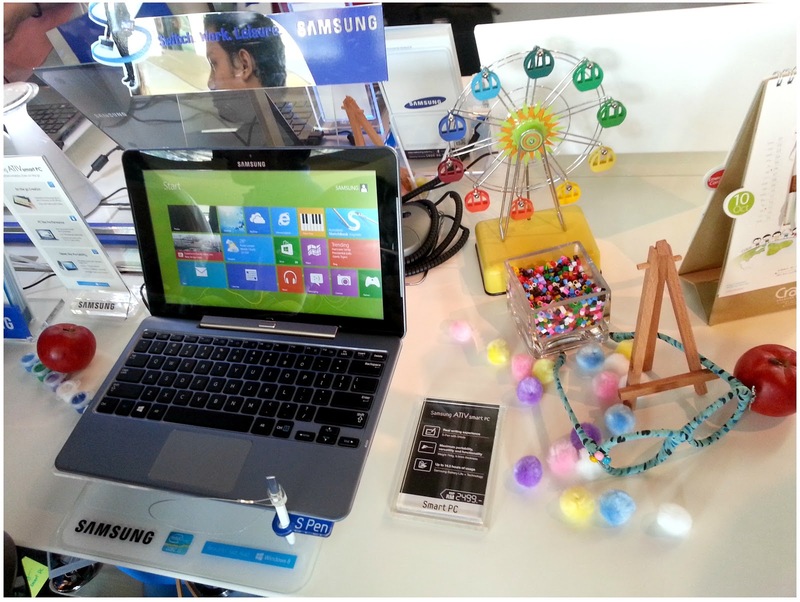 With just 11.9mm thick, Samsung ATIV Smart PC Pro redefines your computing experience of a clamshell notebook PC. Equipped with a detachable keyboard docking system, users can now easily switch from a clamshell notebook PC to a tablet device whenever they are on-the-go. And with Samsung's famous S Pen, doing real writing or drawing never comes so convenient to a PC computing experience. 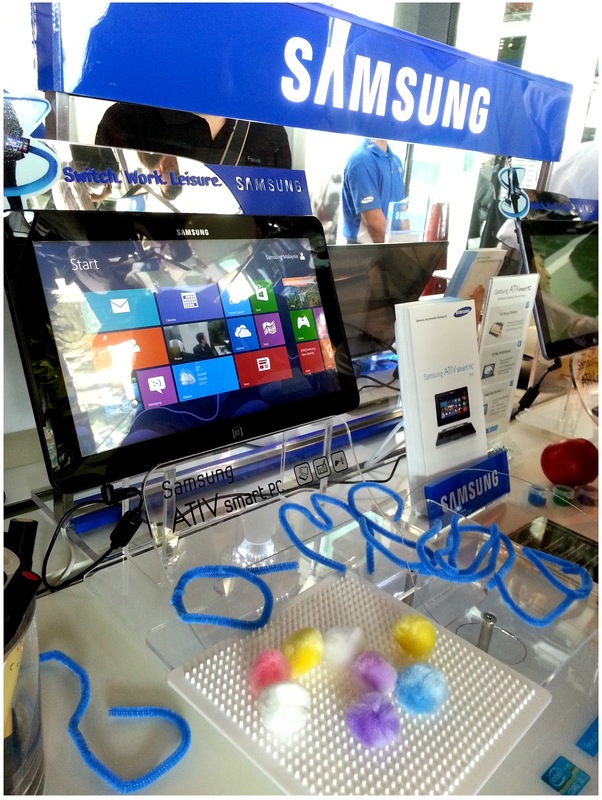 Clamshell Notebook PC at day, tablet device at night, why not? Integrated with Microsoft's latest OS, it enhanced users computing experience with its new interface, processing power and various features, giving users maximum processing performance. 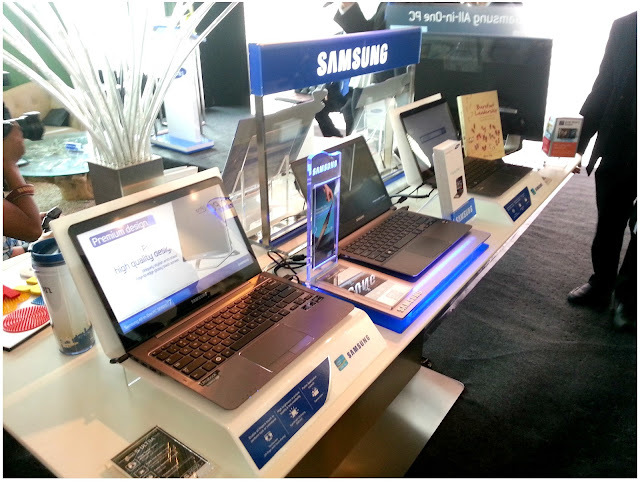 It is powered by 3rd generation Interl Core i5 Processor, solid state drive (SSD) and Intel's intelligent Turbo Boost technology, users can now enjoy a brand new experience and interaction with Samsung ATIV Smart PC Pro. 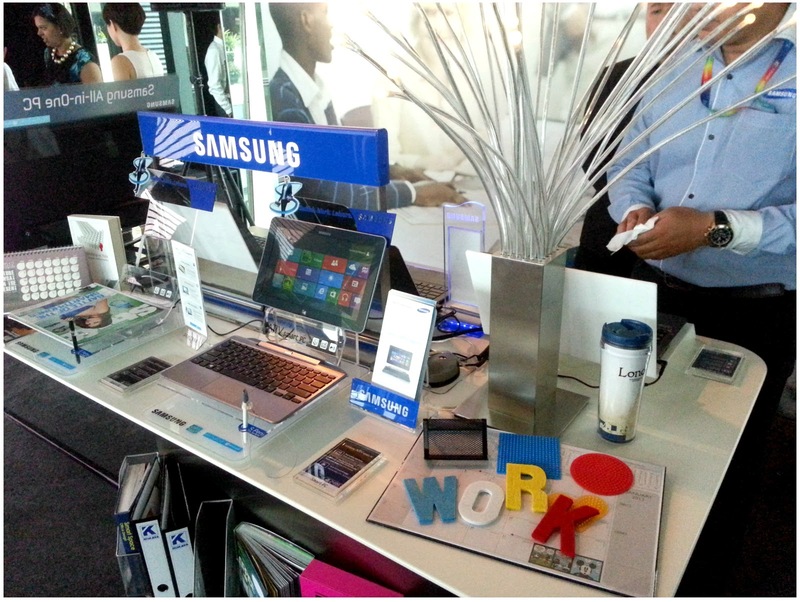 After touching and experiencing these innovative Samsung gadgets myself, I'm sold! Makes me wanna own one myself, and the two MCs were saying that there will be a small game session for everyone at the launch and TWO winners will walk away with a brand new SAMSUNG ATIV SMART PC!!!! 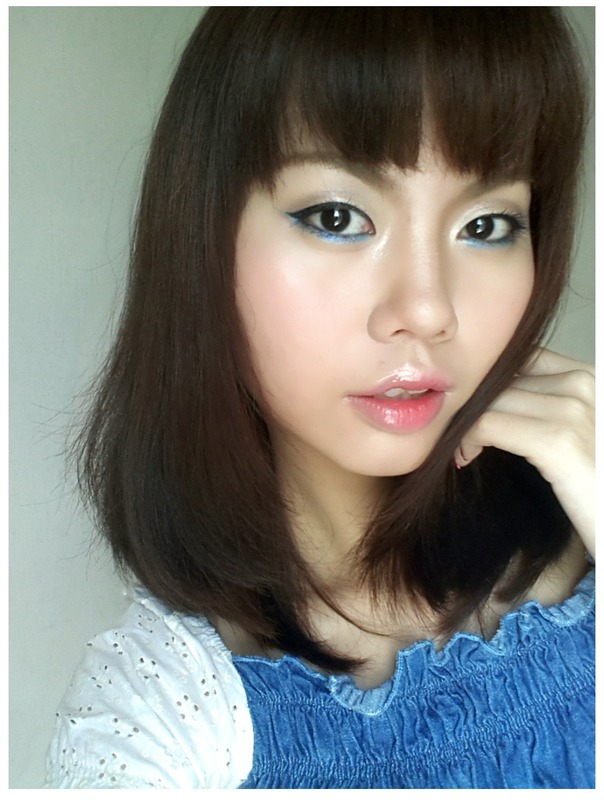 OMG Tell me how how howwwww!!! 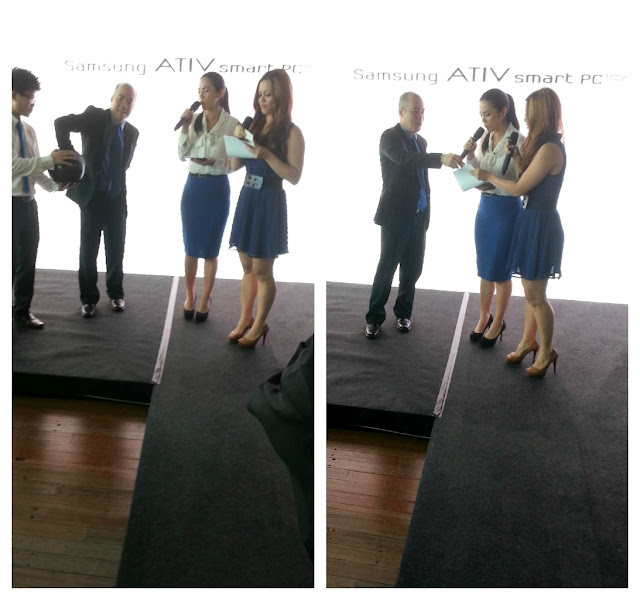 Lucky winners have to complete writing a phrase which the MC told them on a Samsung ATIV Smart PC then only they can claim their price. Easy as a piece of cake! The launch ended with the lucky draw session and refreshments were served. It really make me all excited to have witnessed the powerful collaboration between Samsung and Microsoft which redefined computing experience like never before. 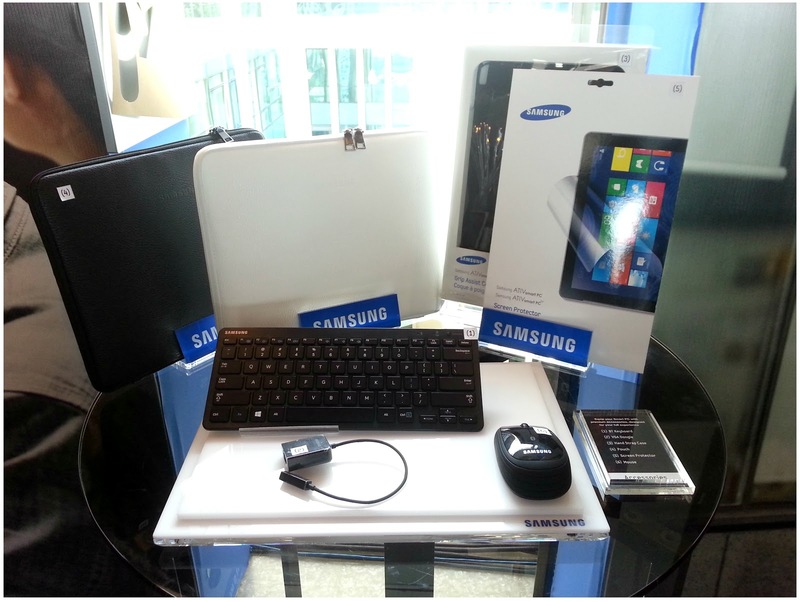 The brand new Samsung ATIV Smart Pro retail price from RM3599 while ATIV Smart PC is priced from RM2499. Both models are available at all authorised Samsung dealers. 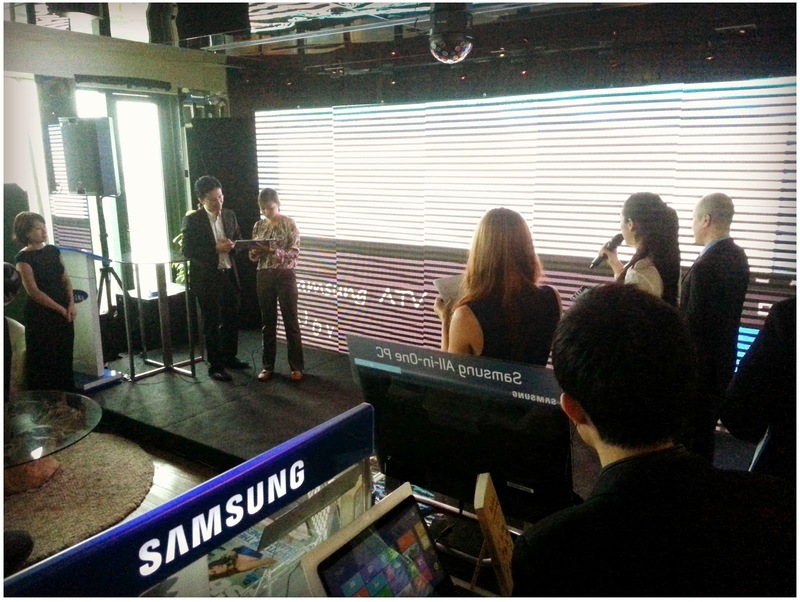 For more information, please visit www.samsung.com/my.